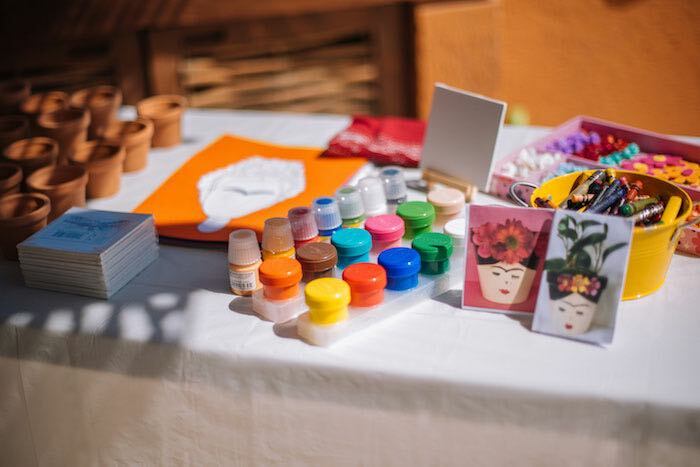 Feeling festive and artsy too?! 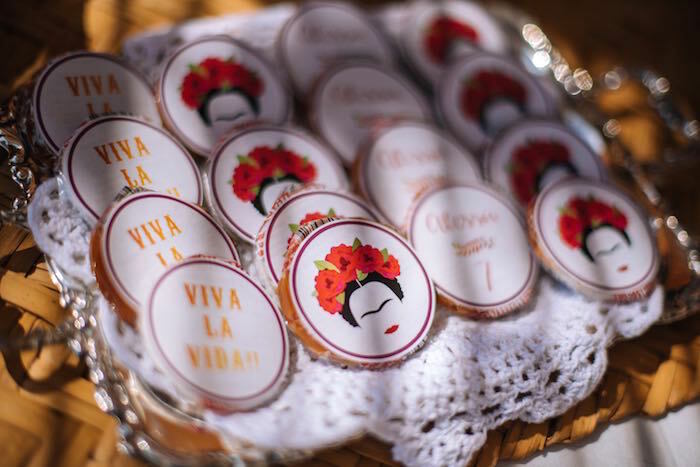 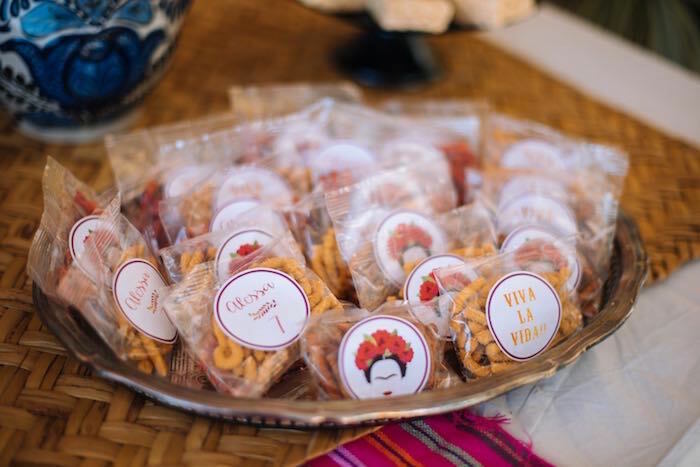 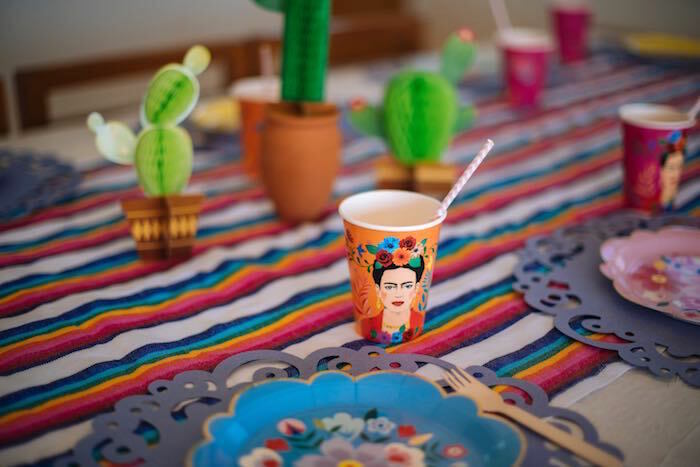 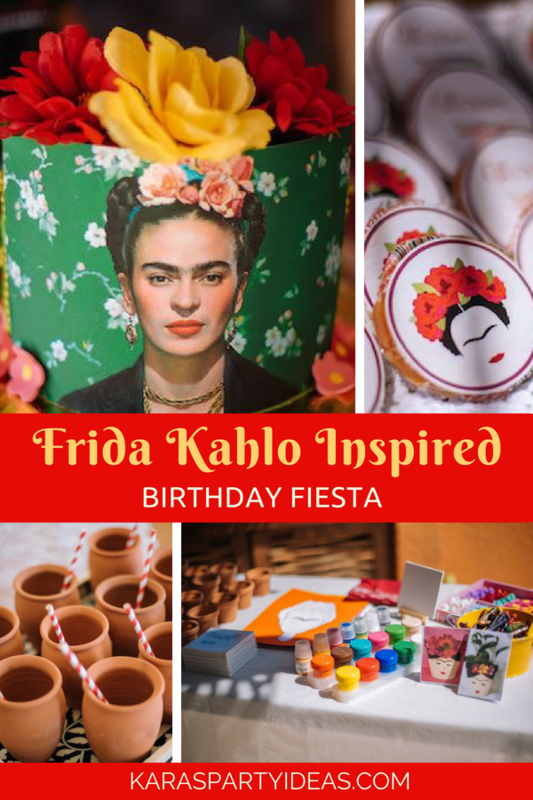 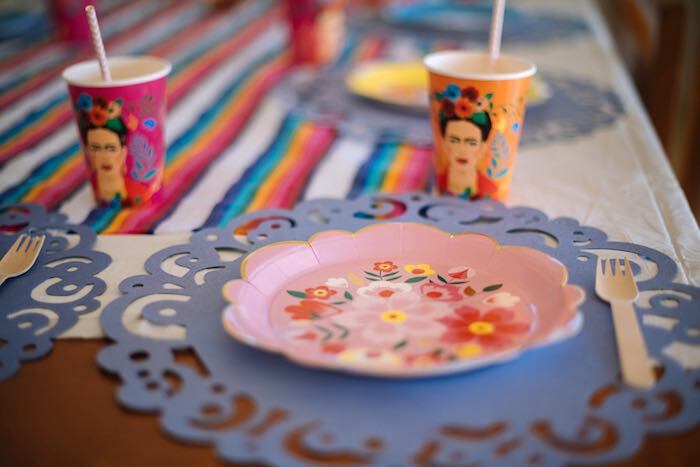 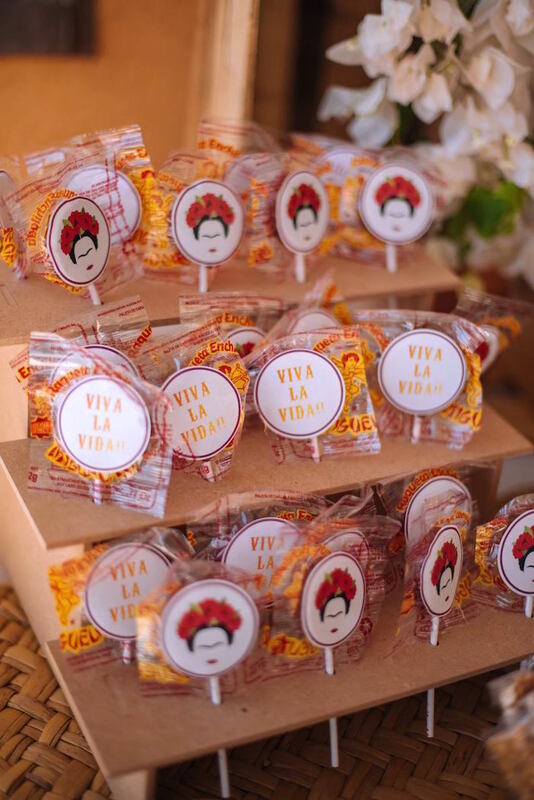 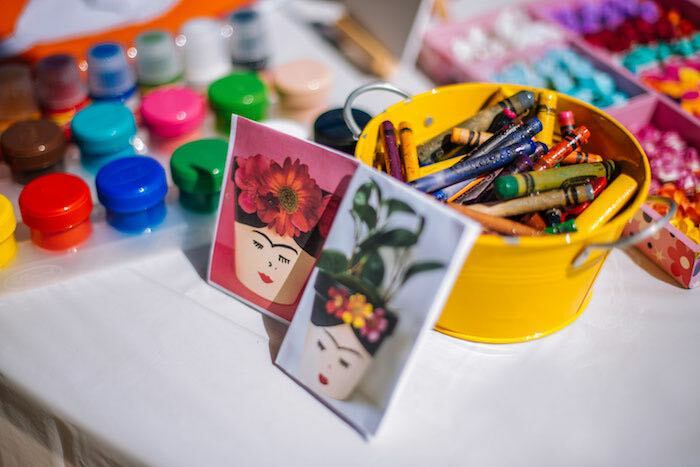 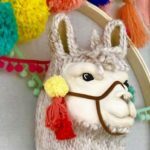 If so this Frida Kahlo Inspired Birthday Fiesta is your tambourine and kazoo! 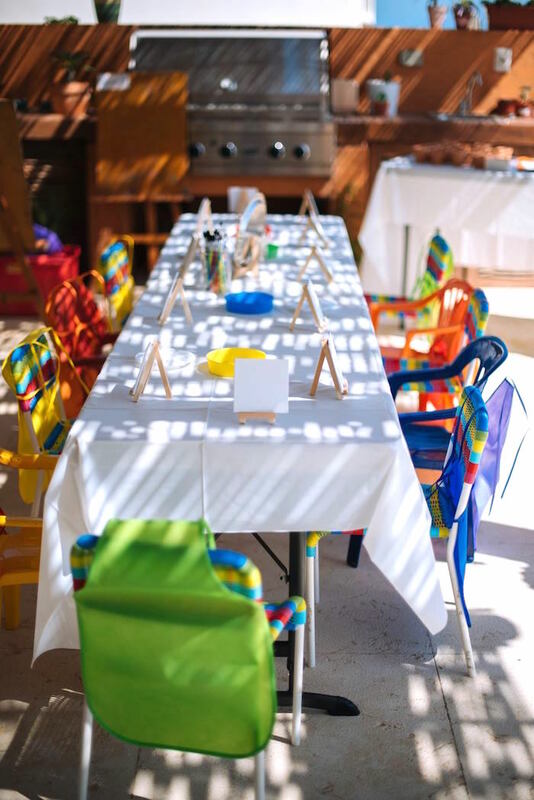 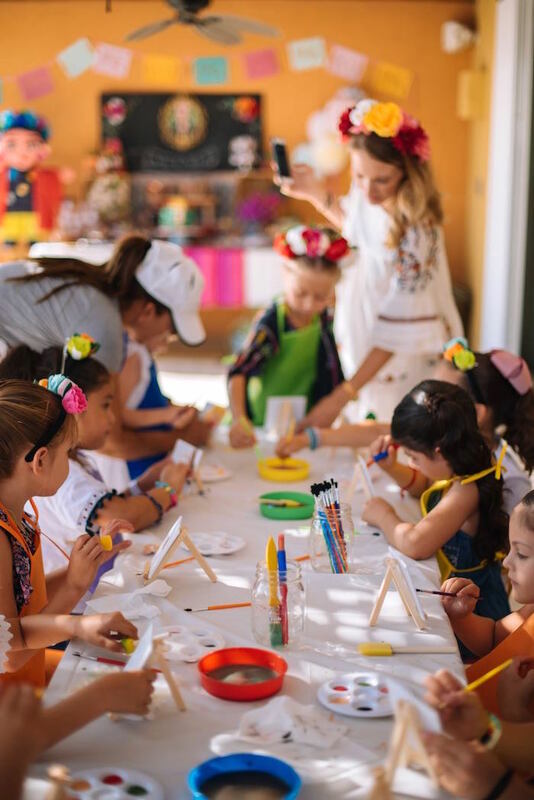 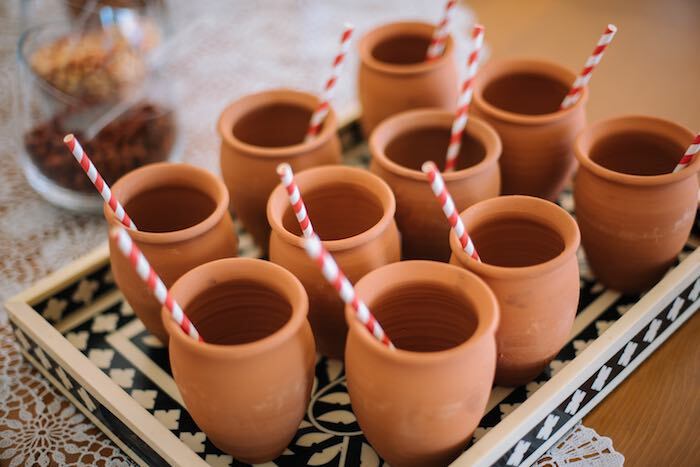 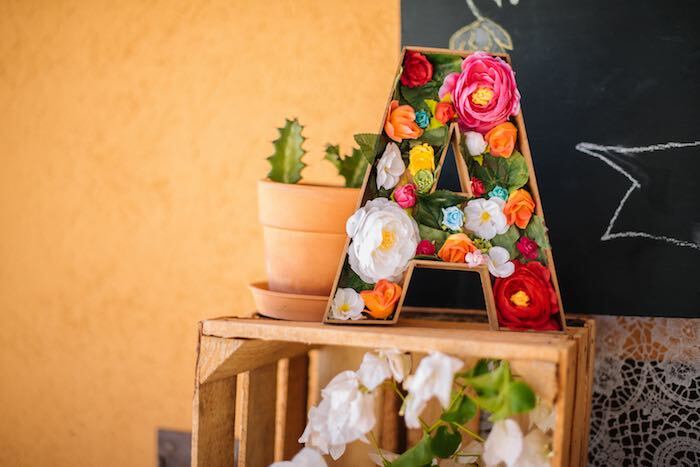 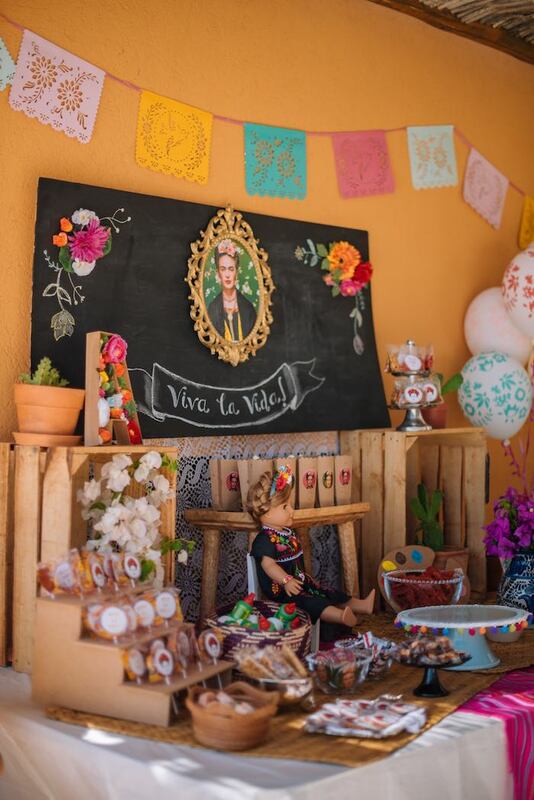 Styled by Sofia Tamayo of out of Cabo/Mexico; this darling celebration is packed with party fun you are certain to be inspired by! 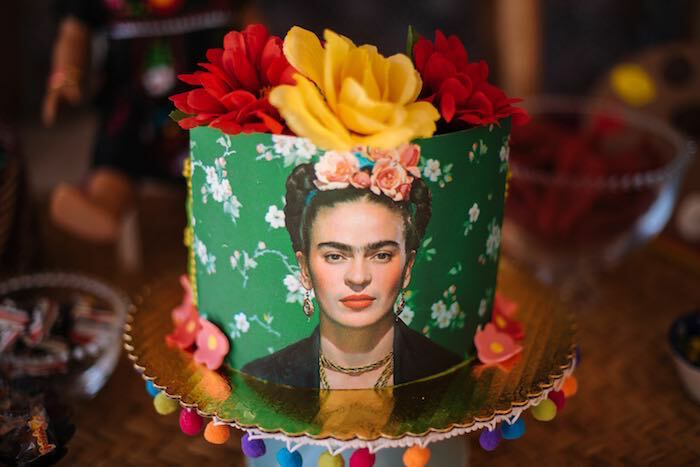 And a fabulous Frida Kahlo Cake featuring a dessert pedestal with Pom Pom Bunting! 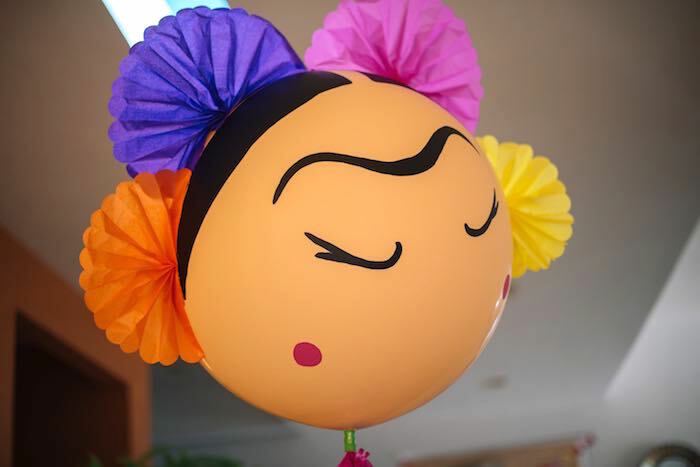 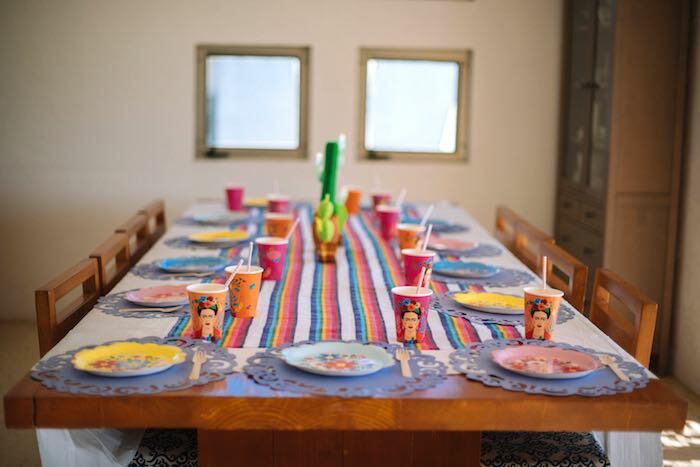 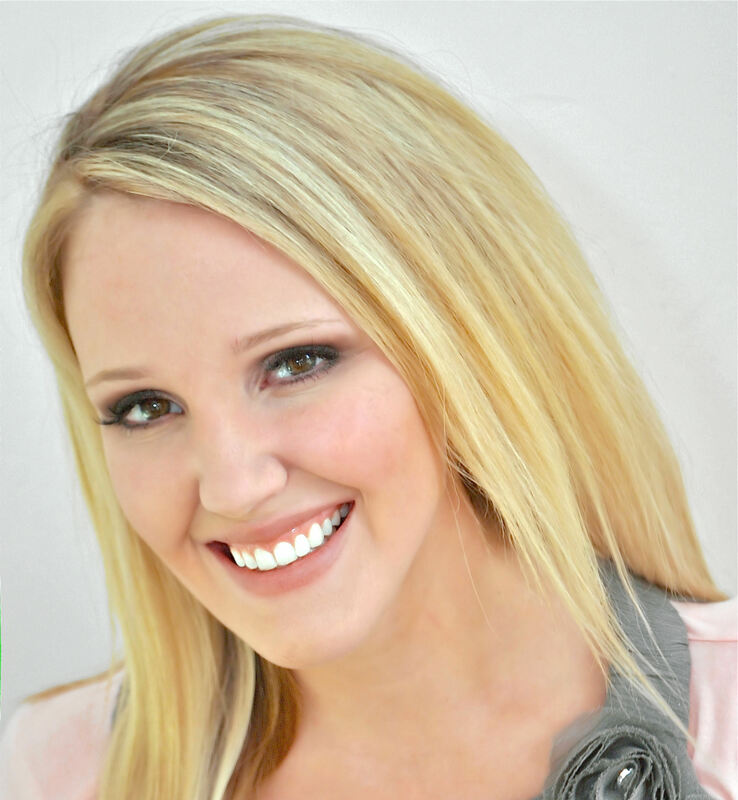 Sofias party snippet- My girl chose her theme 6 months prior to her birthday and never changed her mind. 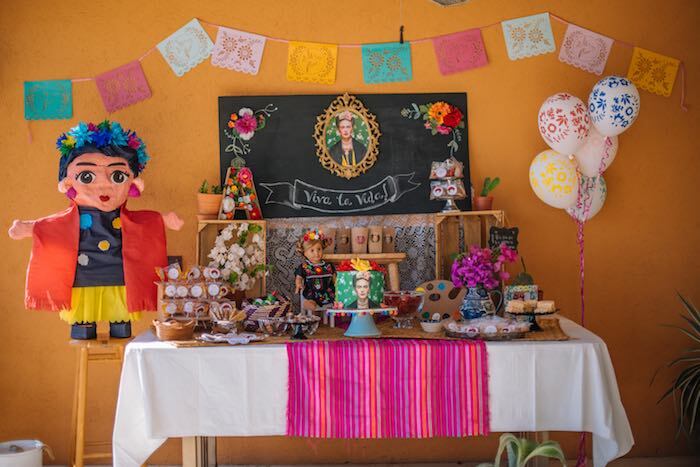 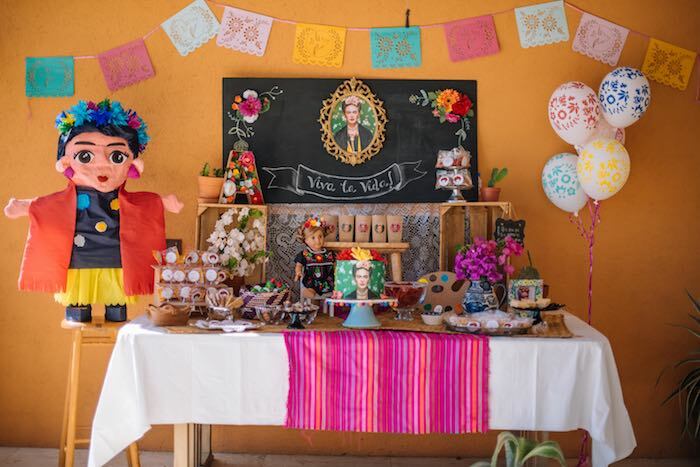 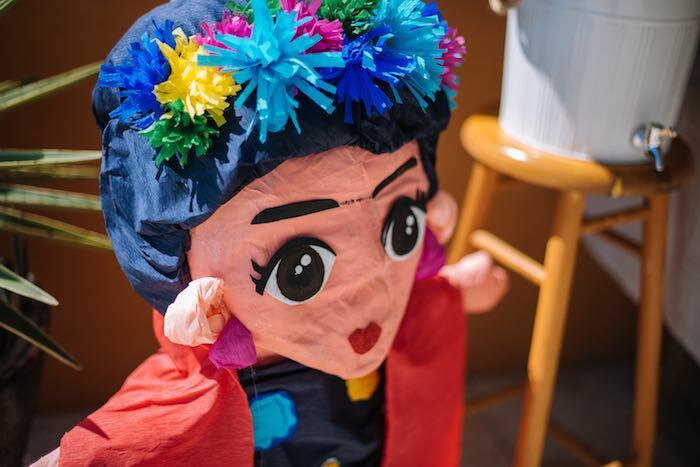 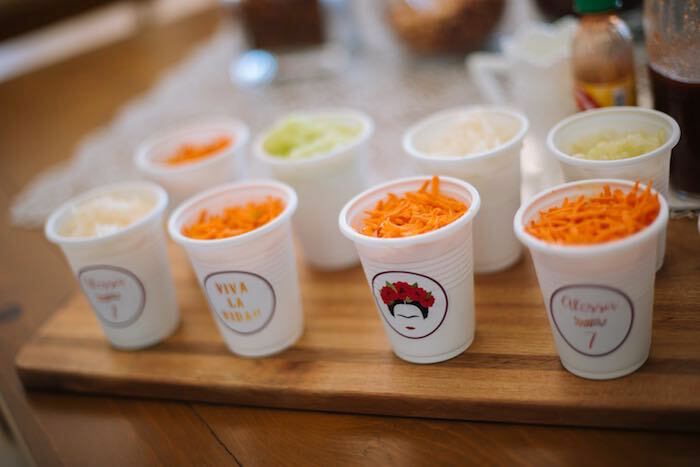 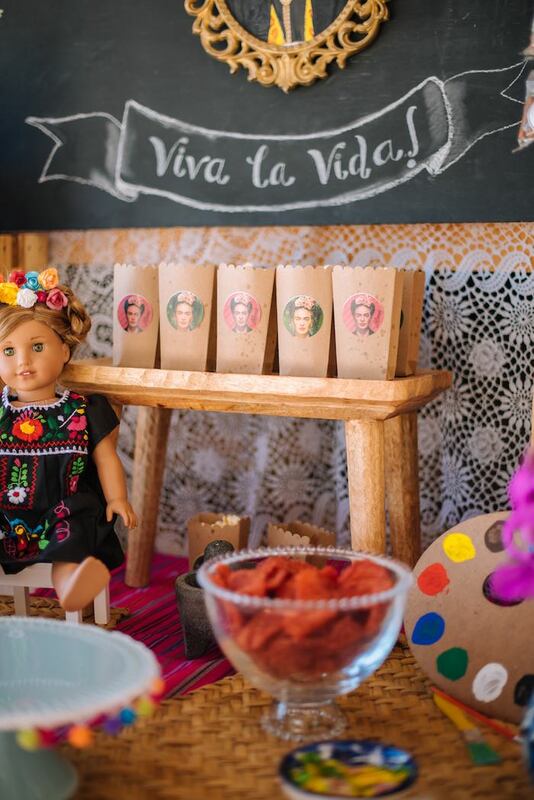 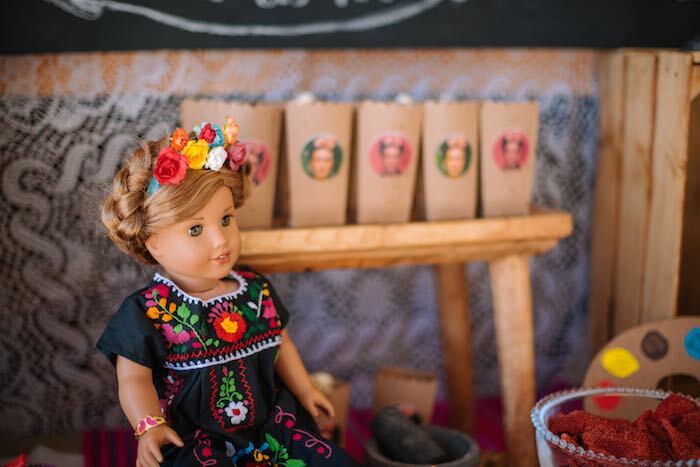 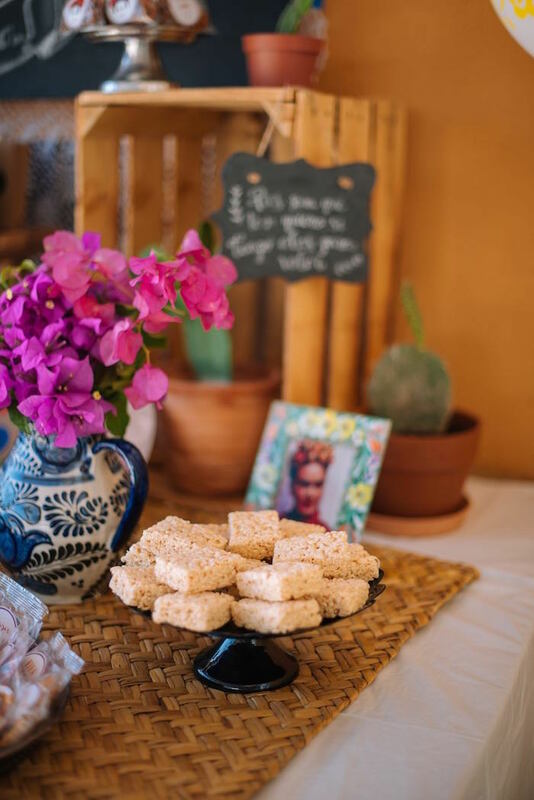 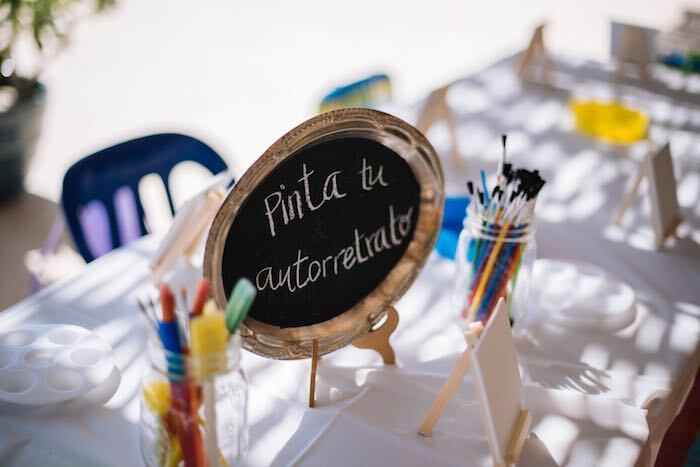 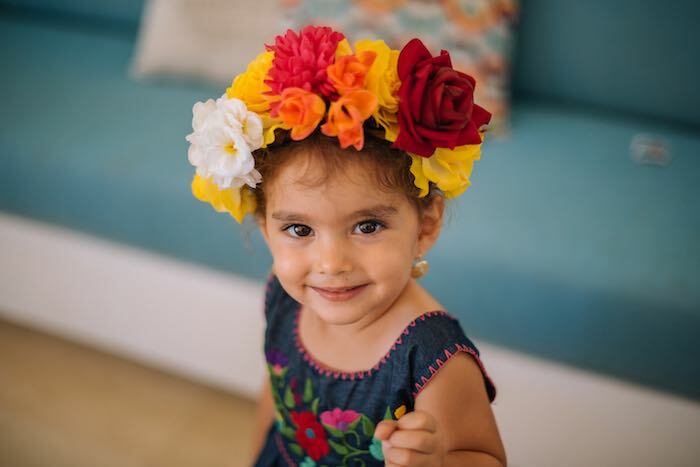 She has been a Frida Kahlo fan since she was 2 years old and being a lover of art and self-portraits herself, this party theme suited her perfectly. 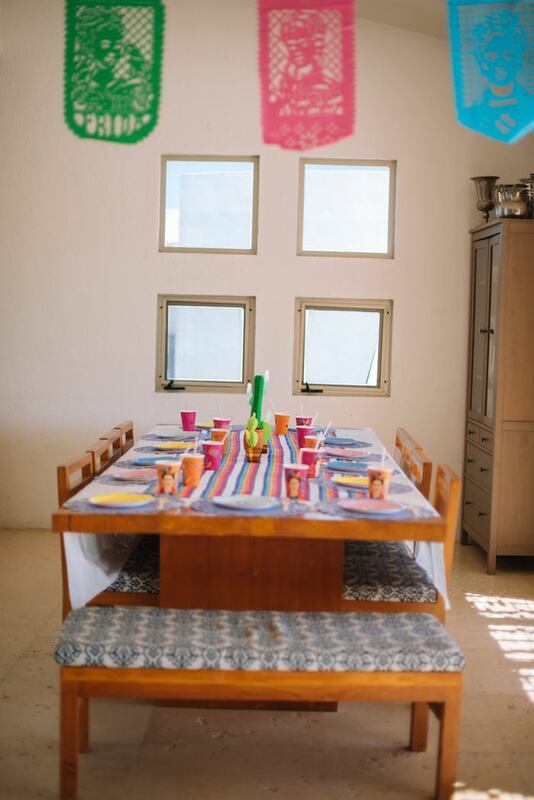 We live in Mexico so I got almost all the details here. 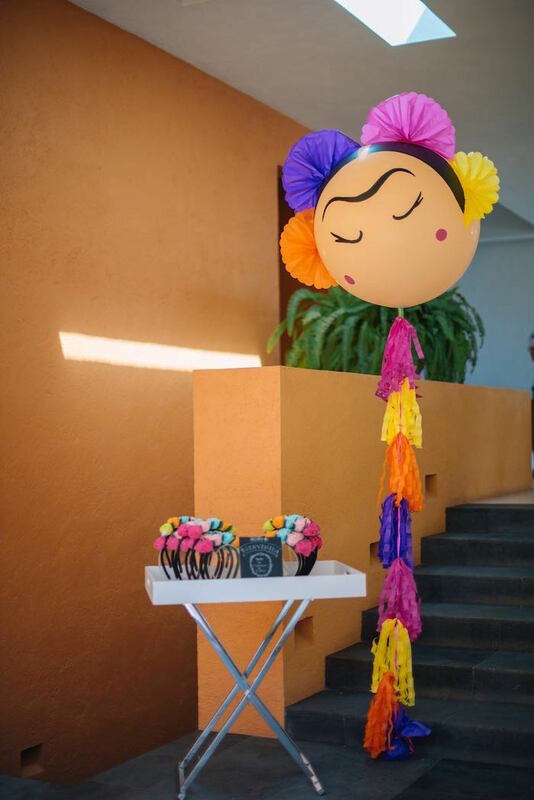 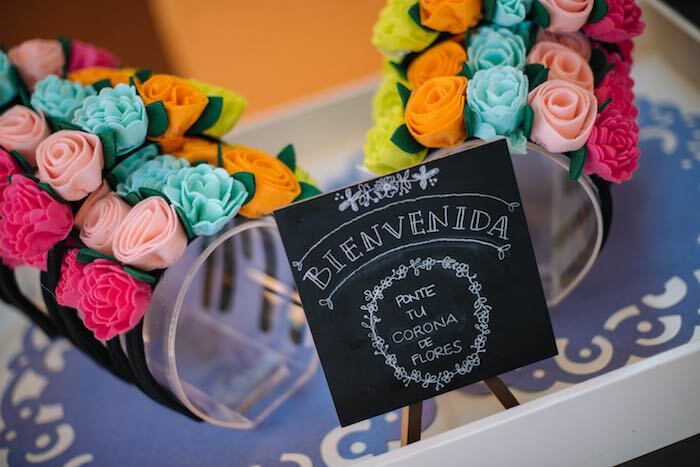 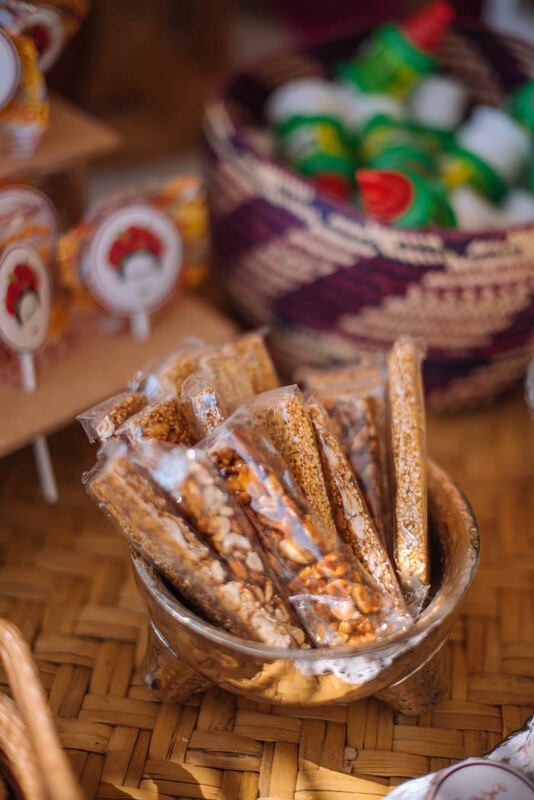 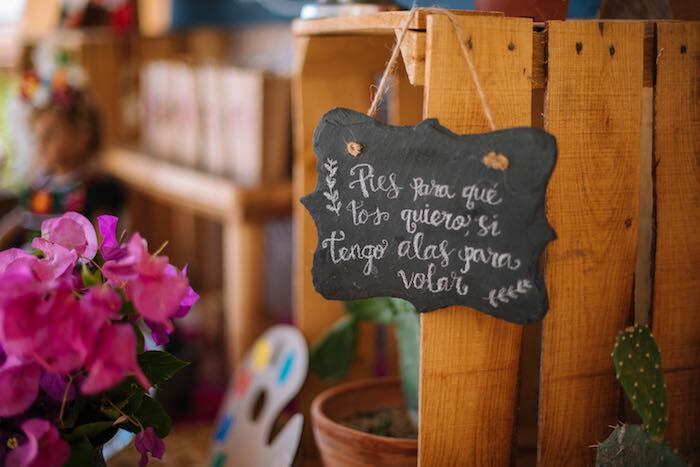 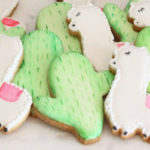 From the goodie bags, the all-Mexican candy, the Pinata….